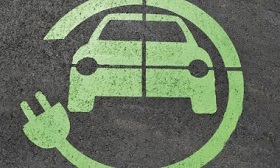 On 3 August 2017, Transport for London (TfL), London Councils and the Greater London Authority (GLA) announced that almost £4.5 million has been allocated to London boroughs to install electric vehicle charging infrastructure on London’s streets. A total of 25 boroughs, each receiving up to £300,000, will install up to 1,500 standard-speed on-street charging points in residential areas, bringing Mayor of London Sadiq Khan’s long-term vision for zero-carbon transport in the capital another step closer. The £4.48 million allocated to boroughs forms part of an award London received from the government’s Office for Low Emission Vehicles’ Go Ultra Low City Scheme, a nationwide competition to give several areas funding to increase electric vehicle use. The boroughs have sought funding allocations based on perceived demand and electric vehicle take-up. Borough teams will now work to identify sites where charging points could be installed to support local residents to make the switch to greener vehicles. The funding will also support innovative new approaches such as using lamp posts as the base and power supply for charge points. This is cheaper, quicker and easier to install with less impact on the streetscape. The Mayor’s draft Transport Strategy aims for all taxis and Private Hire Vehicles (PHVs) to be zero-emission capable by 2033, for all buses to be zero emission by 2037, for all new road vehicles driven in London to be zero emission by 2040, and for London’s entire transport system to be zero emission by 2050. "This substantial investment in electric charging points will make a real difference, making electric vehicles an easier and more practical option for Londoners across our city. We have a bold ambition to make London’s transport system zero emission by 2050, and working with boroughs to roll out more charging infrastructure is a vital part of making this a reality." Barnet, Bexley, Brent, Camden, Croydon, Ealing, Greenwich, Hackney, Hammersmith and Fulham, Havering, Hounslow, Islington, Kensington and Chelsea, Lambeth, Lewisham, Merton, Newham, Redbridge, Richmond, Southwark, Tower Hamlets, Waltham Forest, Wandsworth, Westminster. This article was originally published here on 3 Aug 2017 by CIAT.